5.6" x 8.4" stitched on 14 count. 4.3" x 6.5" stitched on 18 count. 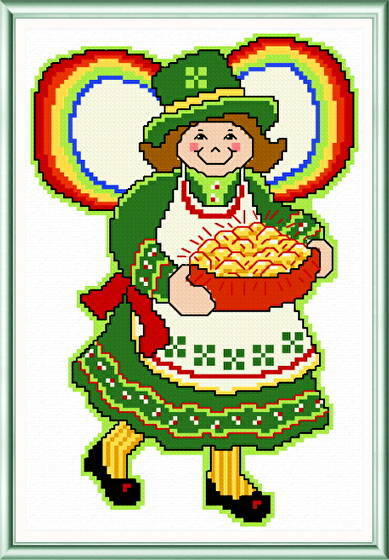 March Angel cross stitch pattern... A cute new series of angels.